It is with great sadness that we announce the passing of Wayne Henuset of Kamloops, BC on November 17, 2016 at 75 years of age, after a short battle with cancer. Born in Vancouver, BC on February 2, 1941, Wayne leaves behind his loving wife of 52 years, Sandra E. Henuset; daughter Catherine (Travis) Parnall; son Mike (Kelli) Henuset; grandchildren Tyler & Chelsea Parnall, Ryan & Brianna Henuset; great granddaughter Lillian Barron; brother David (Linda) Henuset; and sister Denise (Ron) Watts; as well as many nephews, nieces and good friends. Wayne was predeceased by his father Leo Henuset and mother Gertrude Henuset, both of Vancouver, BC. 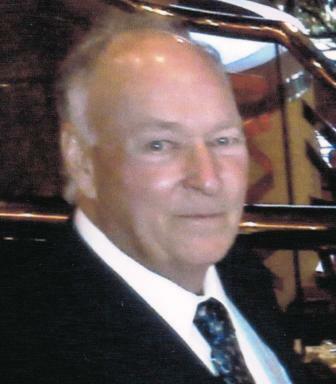 Wayne was a long time employee of Fountain Tire and spent most of his life in the tire industry. He retired at the age of 71. Wayne was also a volunteer fireman for several years, and was an avid fisherman and camper. Wayne was a family man who cherished his time with his loved ones; he never missed an opportunity to have fun with his grandchildren. He will be missed by his family and friends. Private family arrangements have been made. Donations to the BC Cancer Society would be appreciated. Arrangements entrusted to Drake Cremation and Funeral Services. Condolences may be sent to the family at DrakeCremation.com. Today on my birthday I miss my dad more than I can say. Love you dad can’t wait till we can be together again.